The New Brunswick College of Family Physicians wants to make going to the doctor’s office a comfortable experience for children. We are pleased to provide a $300 grant to the selected clinic(s) in New Brunswick each year to help facilitate this. During this Clinic, children are familiarized with medical tests and procedures regularly performed during a visit to the family doctor. 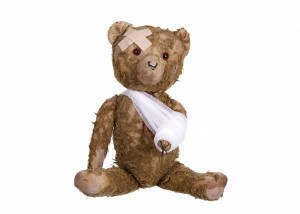 Children bring their favourite teddy bear and practice these tests/procedures on their little patient. The selected groups will be chosen at random. The Teddy Bear Clinic must then be held in the next 12 months, and no retroactive requests will be accepted. We also ask that short report of the Teddy Bear Clinic is sent to the College thereafter. Click below to ‘submit an application’ for this grant. Has a date been set for the Teddy Bear Clinic? Will the Teddy Bear Clinic be held at your medical clinic/office?